On May 9th more than 50 cancer survivors, family members and caregivers enjoyed a great meal provided by "Paul's Girls", five daughters of Paul and Elsie Hartman. The homemade holiday meal was served at tables decorated with various holiday decorations. The entertainment for the evening were songs sung by members of the Hull family. They had chosen uplifting songs that made you remember family dinners such as Easter, Christmas, July 4th, Memorial Day, Valentines Day and Thanksgiving. Cindy Kane, Henderson County Chairman of Relay for Life, thanked "Paul's Girls" for their time spent creating the very nice meal. She also invited all in attendance, to join them at West Central High School track for the annual fund raising event July 12th and 13th. Announcements were made about the Alicia Pence benefit at the Henderson County fairgrounds, Sunday, June 9. 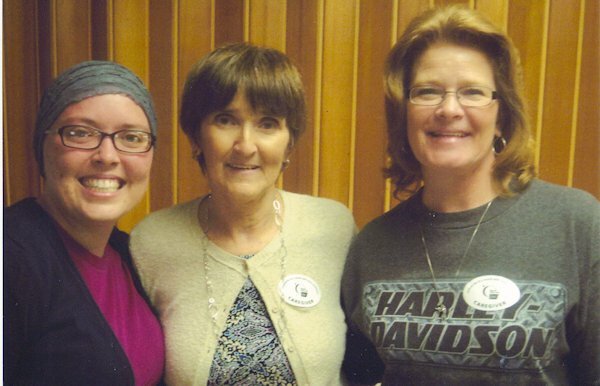 The Media 125th Celebration will sponsor the Gladys Bigger Memorial Walk/Run, June 29th, with all funds made to benefit the Henderson County Relay for Life. Fifty cancer survivors, family members and caregivers enjoyed a great meal provided by "Paul's Girls", five daughters of Paul and Elsie Hartman. 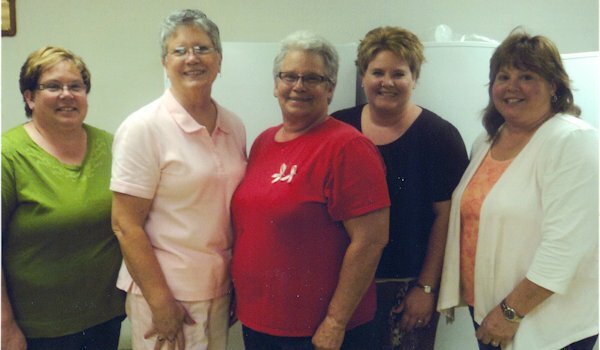 "Paul's Girls" from left are: Anita Hawk, Donna Powless, Lea Ann Nylin, Mary Reed, Sara Lefler.